We’ve been busy molding and casting new designs, some of which will be unveiled next week. The newest sculpture we’ve finished, but who isn’t ready to be sold yet, is our springtime/watergathering goddess sculpture. She joins our winterspirit/red tent sculpture. To me, she is kneeling by the riverside, joyful that the springtime thaw is here and the waters flow freely once again. 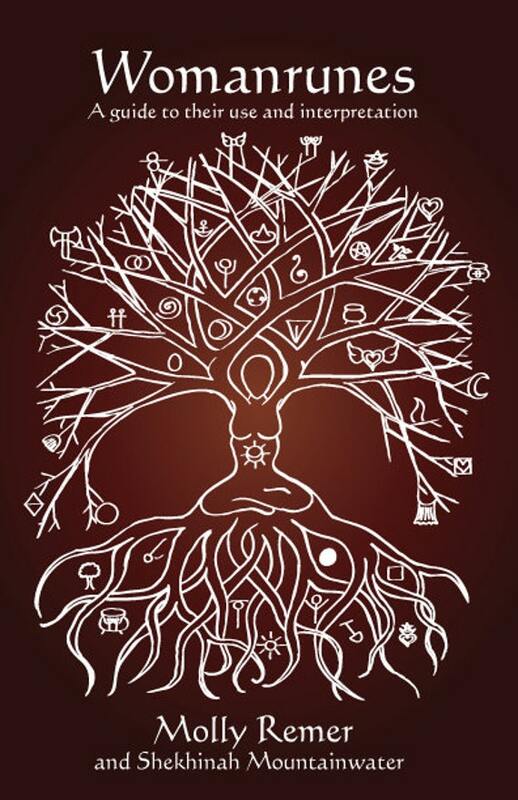 She is welcoming the new—the buds, the blossoms, the tender new shoots, the newborns, the vibrant wellspring of creation and delight. 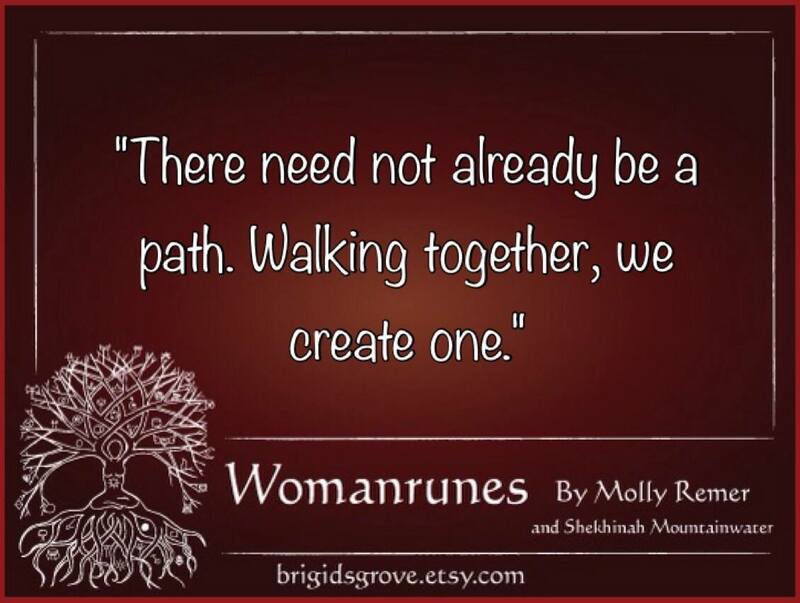 Our Womanrunes book has been available via Amazon domestically and internationally since August, but this week we added a separate listing for book and card sets on Amazon. 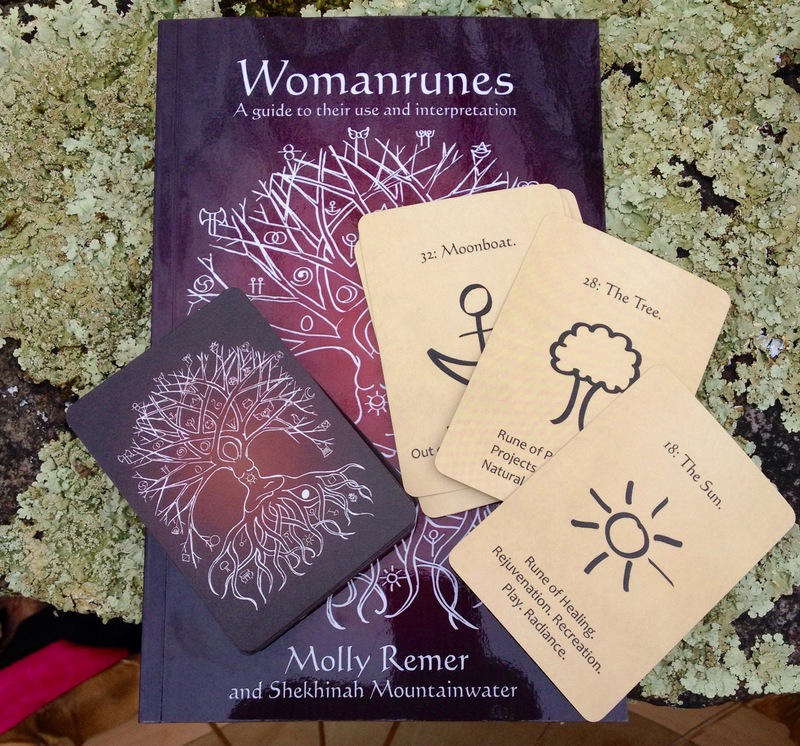 We sell the sets in our etsy shop, but the books sold on Amazon ship directly from Amazon itself which means only books have been available there, since the cards are printed by a different company. However, for those shoppers who prefer to use Amazon, we now have a fresh Amazon listing that is for book and card sets. 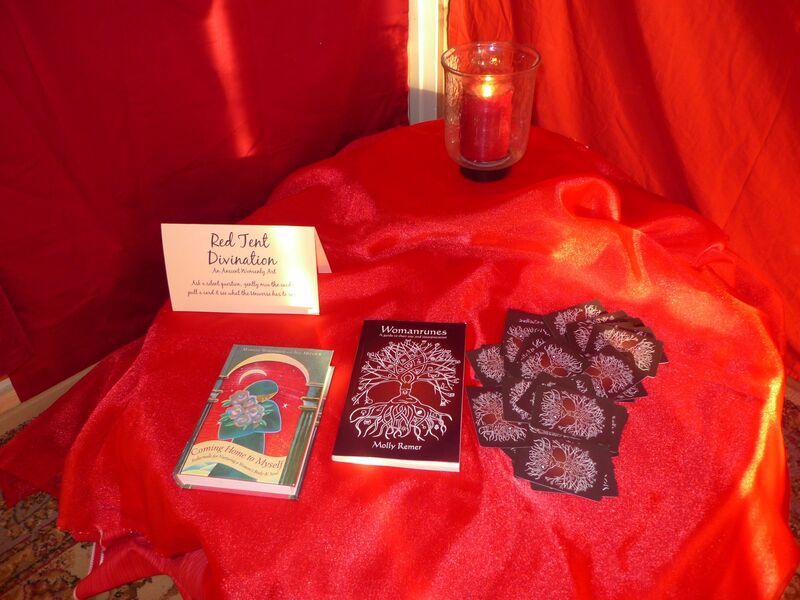 If you are local and would like to join the Red Tent Circle, you can find us on Facebook here: Rolla Red Tent. 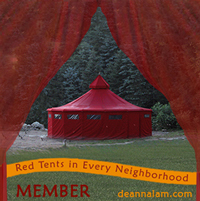 Hopefully, the Red Tent will be held at WomanSpace! This gathering place by women, for women that has been long dreamed about by our communit is finally becoming a reality in 2015! 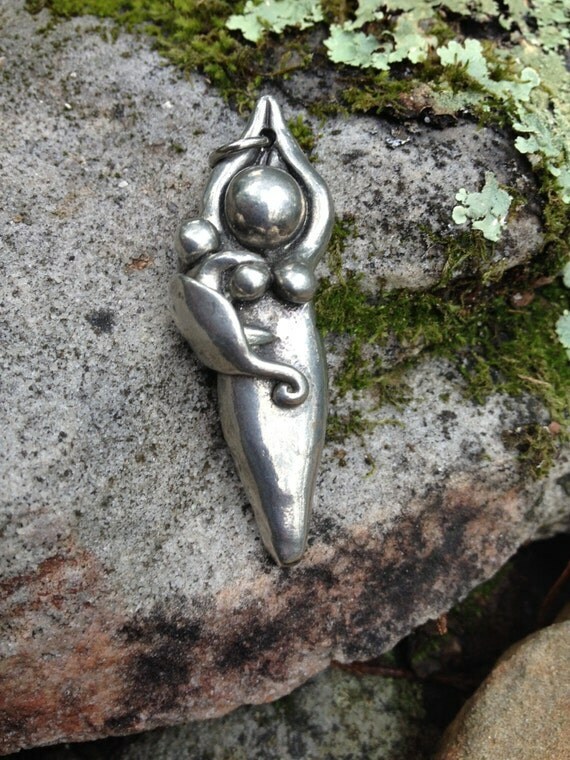 Our cesarean birth goddess pendant was featured in a treasury: Pregnancy Affirmations by Lauren Oland on Etsy. 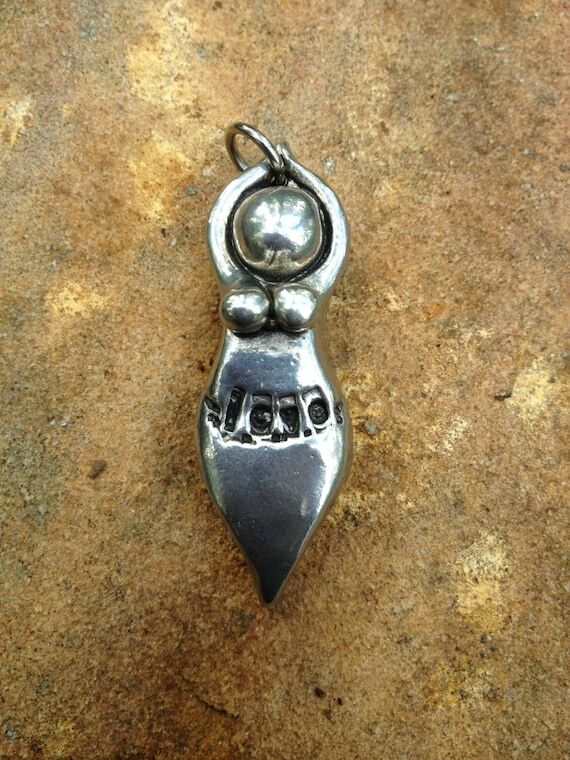 And one of our babywearing pendants in another treasury: The Goddess in Every Woman by Stacy Solmo on Etsy. Baby is awake again and therefore this is all I have time for tonight! 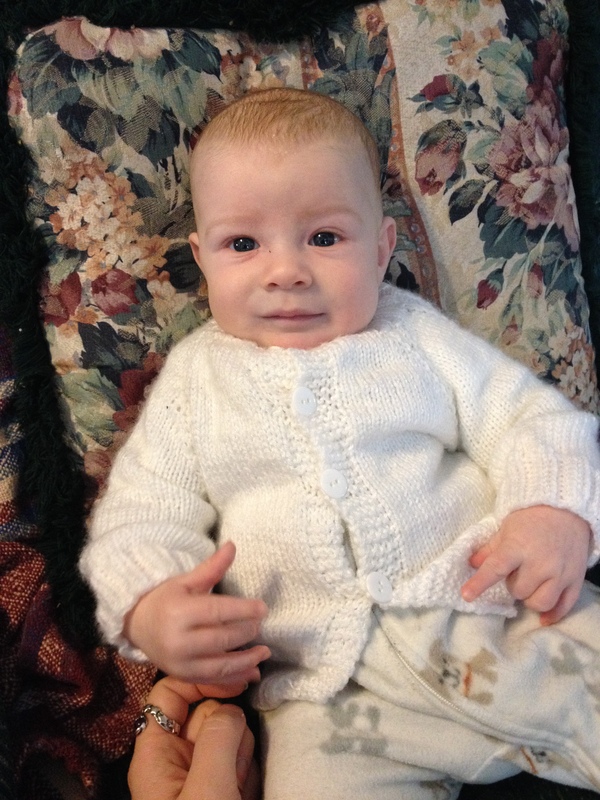 Modeling sweet little sweater from Aunt Brenda!